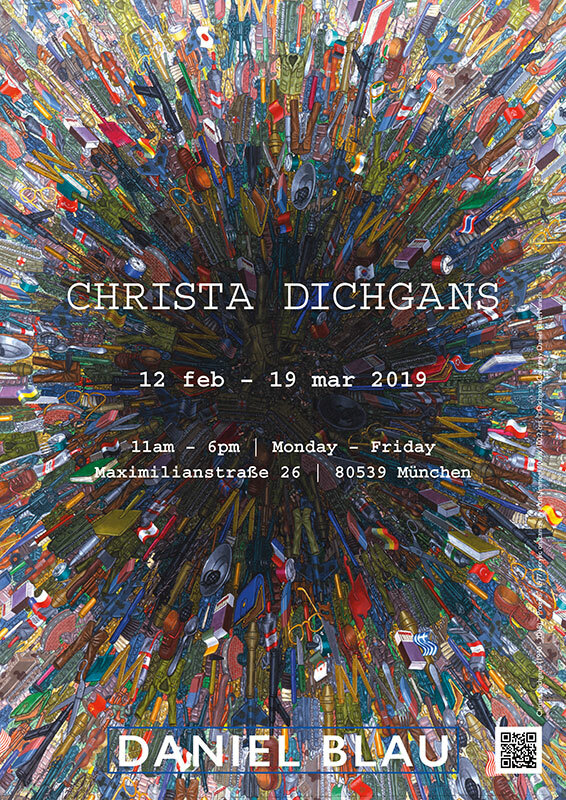 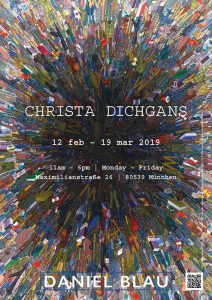 German artist Christa Dichgans (1940-2018) is known for her vibrant works on canvas that play on Surrealism and Pop painting. In celebration of her life and work, we are delighted to show a selection of her mysterious still life paintings from the 1960s and 70s. 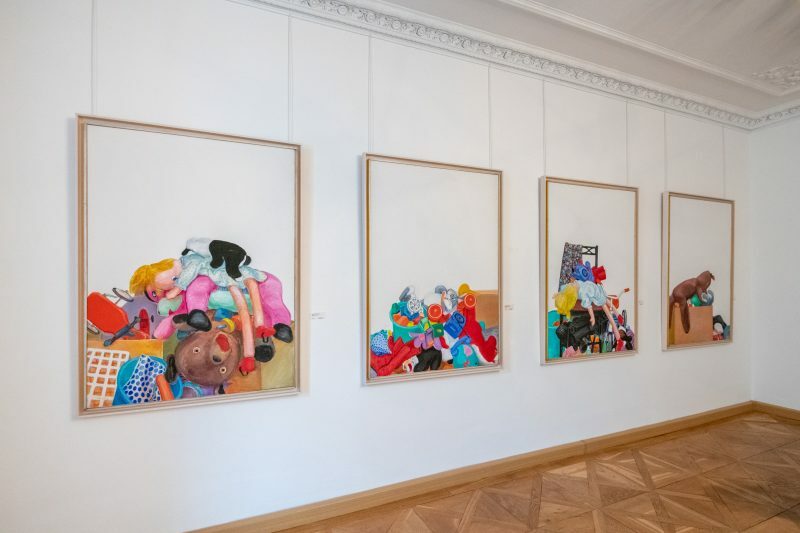 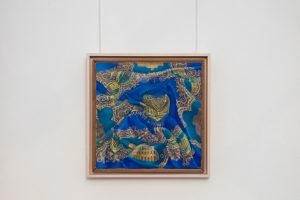 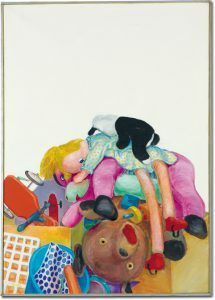 Large-format acrylic paintings such as ‘Puppen und Tierchen – N.Y.’ (1967) show children’s toys piled in colourful heaps. Stuffed animals, dolls and plastic vehicles form uncanny compositions. 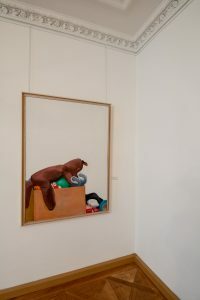 These meticulous images of childhood detritus are personal and impersonal, playful and slightly unsettling. 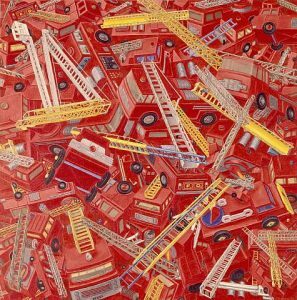 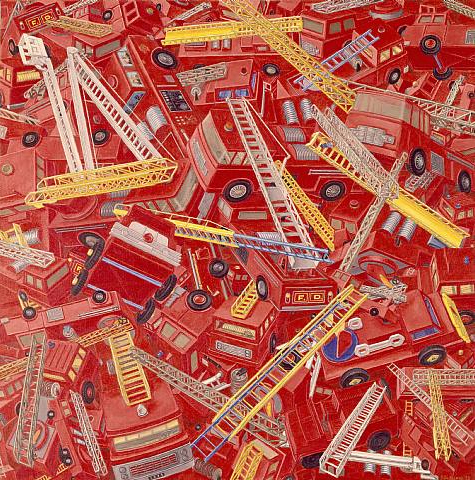 In ‘Feuerwehrhaufen’ (1972) we see a mound of plastic fire engines, seemingly discarded – a monument to mass-production.